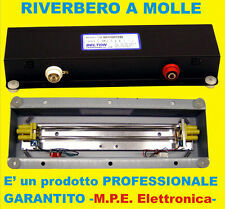 RIVERBERO A MOLLE PROFESSIONALE BELTON. RESISTENZA DC in Ohm /- 10% : 26. INDUTTANZA in mH /- 10% : 23.0. IMPEDENZA USCITA : 2250 Ohm. Bad Cat Bobcat 20R Valve Guitar Combo with Spring Reverb MINT! Here we have for sale is aBad Cat Bobcat 20R Valve Guitar Combo. The Bobcat 20 is a small combo featuring a single 6SL7 preamp tube feeding into a push-pull dual 6V6 power section. 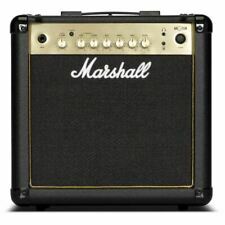 there are two small toggle switches on the front panel that engage the rip circuit for higher gain and boost circuit. Effects: Reverb. Channels: 2 (split). With two channels, clean and overdrive, as well as three band EQ, there’s a tone out there for everyone. Outputs: 1 x 3.5mm jack headphone out. Footswitch: No. Unit impedance: 8Ω. Each amp in the 60 GA series includes a 12" speaker that contributes to producing a versatile and excellent sounding amplifier. Guitar Amplifiers. Guitar Accessories. Guitar Cables. Guitar Care. Guitar Picks. Each amp in the 20 GA series includes a stereo-jack input for CD/MP3 player that contributes to producing a versatile and excellent sounding amplifier. Guitar Amplifiers. Guitar Accessories. Guitar Cables. Each amp in the 20 AA series includes a several input options that contributes to producing a versatile and excellent sounding amplifier. Acoustic Guitars. Acoustic Amplifiers. Feature: Versatile spring reverb. Each amp in the 40 AA series includes a a 10" speaker that contributes to producing a versatile and excellent sounding amplifier. Acoustic Guitars. Acoustic Amplifiers. Feature: Versatile spring reverb. Guitar Amplifiers. Guitar Accessories. Guitar Cables. Guitar Care. Guitar Picks. Guitar and Bass FX. Kick Drum Pedals. Keyboards / Piano. Acoustic Guitars. Acoustic Amplifiers. Feature: Versatile spring reverb. Kick Drum Pedals. Studio Monitor. Power: 60 watts (RMS). Weight: 16 kg (35.3 lb). Frequency response: 20 Hz - 20 kHz.